Did you know that there are actually several different forms of Acupuncture that vary in their effectiveness? Mao Tse-tung established The People’s Republic of China in 1949. We train Acupuncturists all over the U.S. and even Canada. 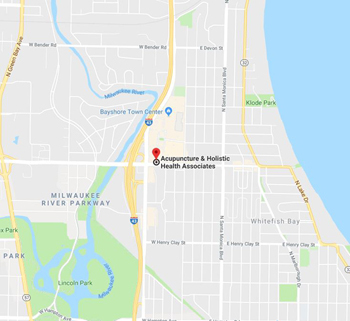 If you don’t live near our clinic, you can always ask us for recommendations. Contact Us. If they say yes, their focus will be on treating symptoms, not treating the underlying cause of a symptom. Unfortunately, in 1949, Mao Tse Tung (pictured to the right) made changes to the medicine, causing it to be less effective. He called it “Traditional Chinese Medicine,” or “TCM” for short. Since acupuncture did not gain popularity in the United States until the 1970s, TCM was the only form brought to the United States. Because of this, most practitioners in the U.S. use the TCM version of acupuncture. Our research into the history of this 3,500-year-old medicine has led us here at Acupuncture and Holistic Health Associates to practice the earlier, more effective, solution-based form of acupuncture, which alleviates symptoms, more rapidly and more permanently. We DO NOT practice TCM. 1500 BC: first recorded attempt at conceptualizing and treating disease with Chinese medicine; discovered written on the inside of a tortoise shell. ≈200 BC: earliest known medical text, Huangdi Neijing (English : “Yellow Emperor’s Classic”) is written. 113 BC: earliest examples of metal needles believed to be used for medical purposes found in a tomb in China. 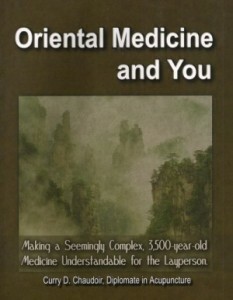 1600 AD: Chinese Medicine evolves with a focus on longevity, vitality, virility and fertility. 1671 AD: earliest written record of acupuncture released in the western world. 1949 AD: Mao Tse Tung creates TCM, destroying volumes of material that were based on the original form of Acupuncture. 1972 AD: Journalist James Reston accompanies Richard Nixon to China and reports on Acupuncture being used as anesthetic for minor and major surgery, igniting American interest. Currently: The vast majority of practitioners in America practice TCM without knowing it, as American interest began AFTER Mao Tse Tung bastardized the medicine. Thankfully, at least a very small percentage of Acupuncturists still utilize the ancient and most effective methods of Acupuncture.